As we saw in A Conversation With Professor Jackson, the professor is not fond of questions from his students. As the semester draws to a close, the professor is under a considerable amount of stress from his numerous obligations. Any organized person has a planner filled with their tasks that need completing, and Samuel L. Jackson is no different. I based this assignment off of the Make Your Own List assignment. The creator of the original assignment created a collage, but I opted to create an actual list to fit the name of the assignment. The image was too small originally in GIMP, so I doubled the size with the scale layer tool. After the notepad was a decent size, I imported it over to Paint. 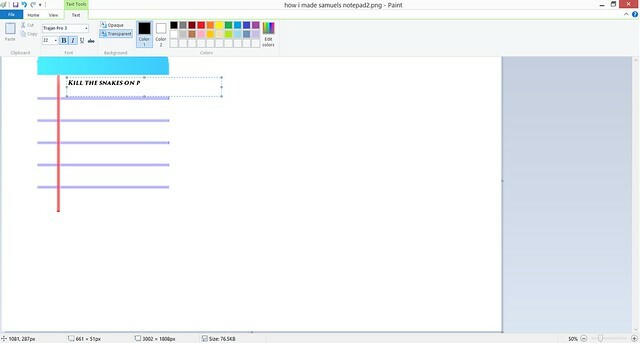 The reason that I decided to finish up the notepad in Paint over GIMP is that text boxes are easier to use in Paint than in GIMP. 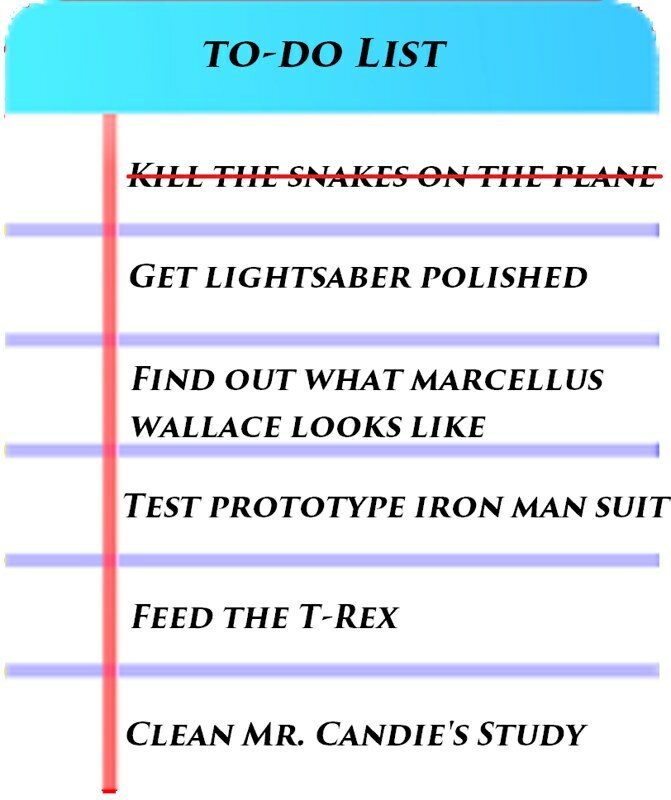 With the notepad now in Paint, I began typing up Samuel’s To-Do list. 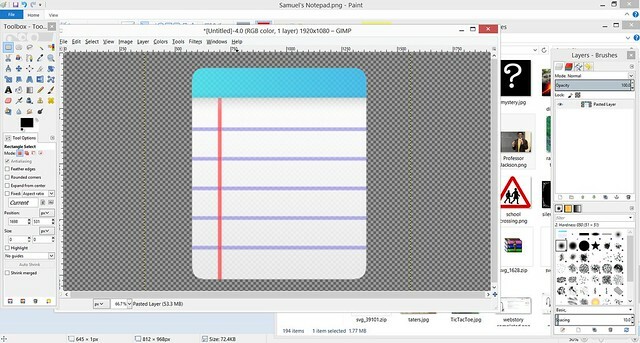 I aligned each of tasks on the notepad lines, one for each blank space. After I finished typing up the list, I re-sized the Paint work space and uploaded the final image to Flickr.